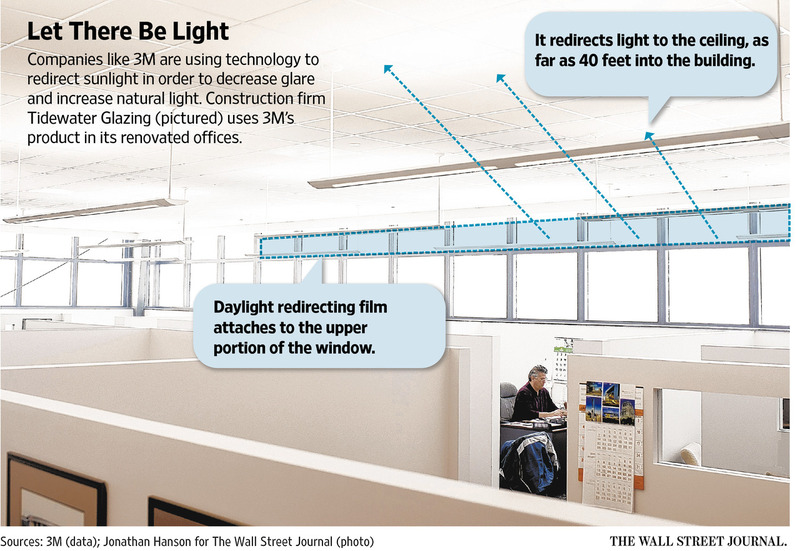 Check out this great article from the Wall Street Journal that touches on how 3M Daylight Redirecting Film is being used to help offices save energy and create a more pleasant work environment. It is hard to top the sun as a light source for houses and office buildings. Natural light is free, and people tend to like it. The trouble is that sunlight can cast glare on computer screens and roast people sitting near windows. If they yank down the blinds, everyone else loses the view and natural glow. Entrepreneurs have been trying to find technological solutions to this dilemma for decades. 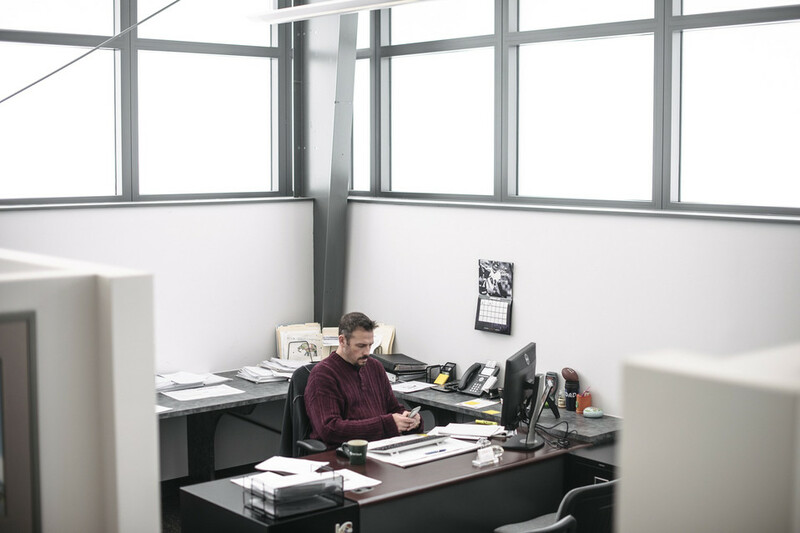 Despite their modest success in selling that technology, companies including 3M Co. and Alcoa Inc. keep trying, offering “daylighting” products that deflect sunlight toward the ceiling so it can gently illuminate a larger portion of a building’s interior. 3M is promoting a new “daylight-redirecting” film applied to the upper portions of windows. Alcoa has an updated “light shelf,” reflective panels affixed to walls or window frames to reroute sunbeams deeper into buildings. These are some of the latest in a long line of products introduced by firms promising to enhance natural lighting. One aim of daylighting products—to save electricity—has become less urgent as lighting costs have dropped. Russ Leslie, associate director of the Lighting Research Center at Rensselaer Polytechnic Institute in Troy, N.Y., estimated that the energy used by electric lighting in a typical building has halved over the past decade, partly because of more efficient fixtures and the use of sensors to switch off lights when they aren’t needed.